Yes, I won that adorable necklace!! My sweet Summer hosted this amazing jewelry giveaway, and I won the elephant necklace!! Thank you so much, Sum! I can't wait to get it and show it off! The necklace is from the charming Etsy shop 'Love Erica.' You should go check it out right now! There are some adorable pieces over there! Thank you again, Summer, for hosting such a wonderful giveaway! 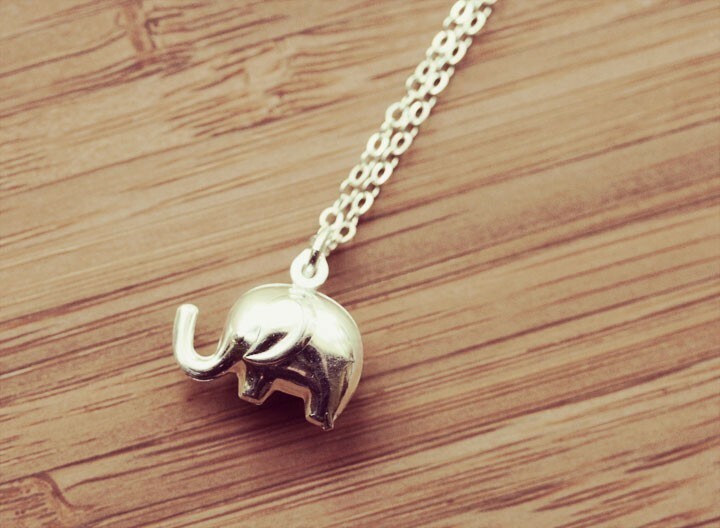 I love elephants so I think this necklace is super cute :-) Congrats on winning! Adroable! Elephants mean good luck and fortune! :) Yay on your winning! How cute! Congrats on winning! 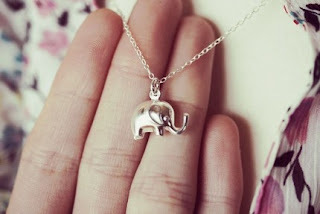 LOVE the darling elephant necklace!!!! SOOO cute! I love it! You're such a lucky lady! I love animal jewelry right now! Congrats on the win! I have some awesome giveaways going on this week. Check them out! Very nice doll! Lucky you! Going to see Summer's blog right now.